SHOWNOTES: We discuss a week filled of extremes featuring LeBron's 61-point performance and a three-game losing streak. We chastise Brian Windhorst for making such buffoonery comments about the Heat's future -- all while ... See More creating a Mount Rushmore of Brian's. Gianni breaks down how Prokorov became a multi-billionaire and gives you the best NBA Tweets of the week. 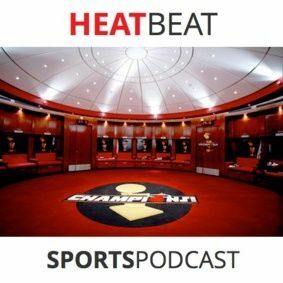 All this and more in this week's edition of 'The Heat Beat.' Sorry Incognegro (@MajorSlander). We won. Maybe next time!